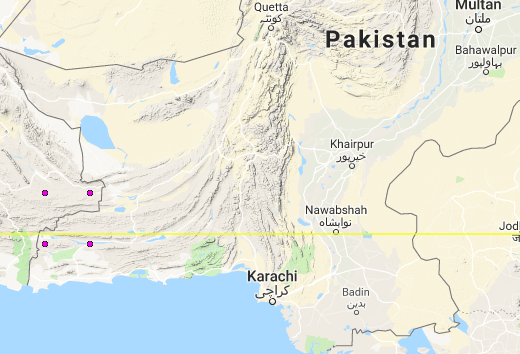 The map above shows the location of a 5.0R earthquake in SW Pakistan. This has just arrived and we have no further information. 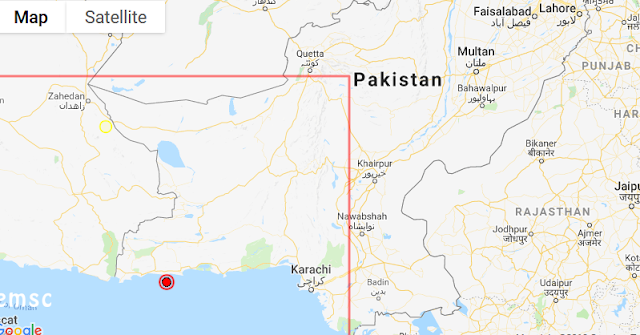 Interestingly the map below is our FDL prediction of the two locations in Pakistan for today of vulnerability. As you can see they ar [26N 62E and 63E] very close to the epicenter.